Ferbane woman Rebecca Egan has been selected as the Dubai Rose for the 2018 International Rose of Tralee festival. 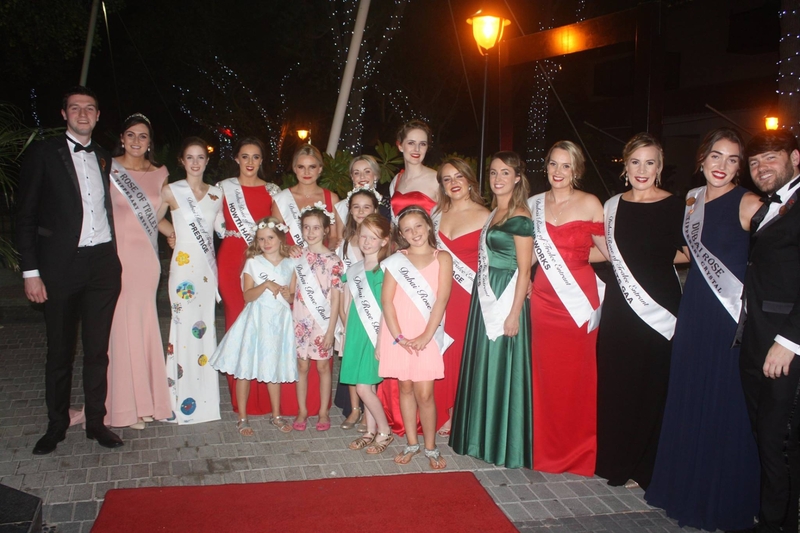 Rebecca won out after a glittering selection night, attended by reigning Rose of Tralee and fellow Offaly woman, Jennifer Byrne on Friday night, May 4. Rebecca, who is currently teaching in an American Curriculum school, saw off stellar competition which included two other Offaly women, Maria Judge from Clonbullogue and Boore native Sinead Kenny. Rebecca Egan, who trained to become a teacher in Ireland, speaking to the Offaly Express said, "living abroad has been the best education, and I believe the best stories and most resonating lessons are between the pages of your passport." "The work environment is so much more demanding and diverse than Ireland that whenever I return, I believe I will have gained a wealth of experience to deliver in Irish classrooms." From the fields around Ferbane, Rebecca says she has "tumbled" her way through the years, "starting out in Clononeybeg along the beautiful waterways Ireland walkway of The Canal Line by Shannon Harbour." "As I grew longer I tumbled through the years at La Sainte Union, then Banagher College, Coláiste na Sionna and with St. Rynagh's camogie team. I use the word tumbled, because it is quite literally fitting," she joked. Rebecca is shocked and honoured to become a Rose, and told us that she always enjoyed the Rose of Tralee festival, believing it is a "truly unique and special family and community event." "Growing up my parents would always say to my sister Sarah and I that some day that could be either of us. Needless to say, little Rebecca was a bit more realistic and didn't think she would be so blessed, even if she did secretly dream of it," she commented. "Yet here she is all grown up, as the Dubai Rose, standing amongst wonderful fellow expat Irish women," she said. Having now been crowned the Dubai Rose, Rebecca will travel to Tralee in August to try and emulate Jennifer Byrne who became the first Offaly woman ever to win the long-running contest. "It has been a delightful experience to date, one that I am very thankful for and proud to be a part of," Rebecca said.